There are hundreds of thousands of people in Birmingham who live with a disability. Birmingham is not the type of city to slam it’s doors to people who need a little assistance, because of this, there are plenty of places that are disability friendly in and around Brum. Your trip to Birmingham may begin at a train station, the most likely being Grand Central Station located on New Street. Right in the centre of the city. Grand Central recently improved in accessibility; there are lifts to every platform, an accessible toilet and better signage. 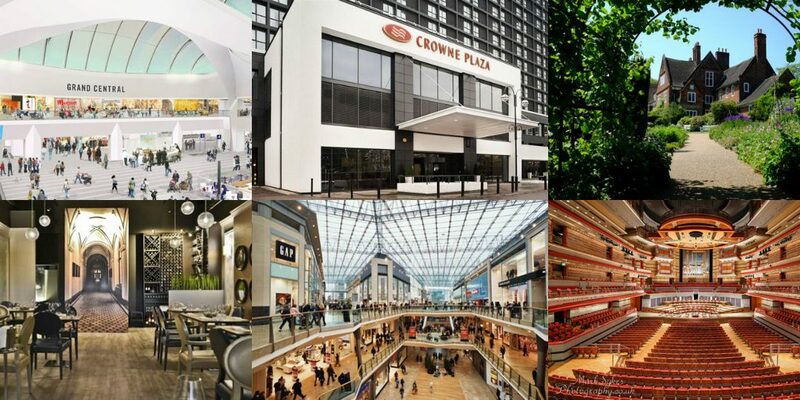 If you are travelling to Birmingham, It’s possible you’ll also need somewhere to stay, and the Crowne Plaza Hotel is accessible, stylish and reasonably priced. During the day there are a number of places you can visit. Including Cadbury World, Thinktank Science Museum, The Library of Birmingham, The Birmingham Museum & Art Gallery, Winterbourne House & Garden. The Winterbourne House is especially accommodating for people with mobility issues and have outlined on their website what’s in place to help. During your stay you will not be short of places to eat but here are a few that are accessible for everyone; Adam’s Restaurant, Gourmet Burger Kitchen, Shabab Balti, 200 Degree Coffee and many more. Adam’s specifically has a portable ramp, disabled access toilets and widely spaced tables. If fashion is your passion, you’ve chosen the perfect place. Birmingham is full of fashion. We have the bullring with over 140 kiosks & stores situated within. We have Grand Central once again on this list with over 50 Lifestyle & Premium fashion brands. Birmingham’s Symphony Hall is a great place to be for music lovers. With disabled parking, toilets & concert seat facilities, it’s a very accommodating place to enjoy some musical talent in a wonderful atmosphere. Birmingham is undeniably Britain’s second city; so being a friendly, accessible place for everyone should be at the forefront of everyone’s minds when building and creating. There is so much building work going on in Birmingham City Centre at the moment and we’re excited to see how it all turns out. Hopefully accessibility was built into the plans from the beginning.